The SOS Partner Dashboard has become quite a development masterpiece in the past few months. If you haven’t launched a partner trial with us, then you might not have seen it. Now, the wait is over. No trial, no commitments. Check out the SOS Partner Dashboard online today. 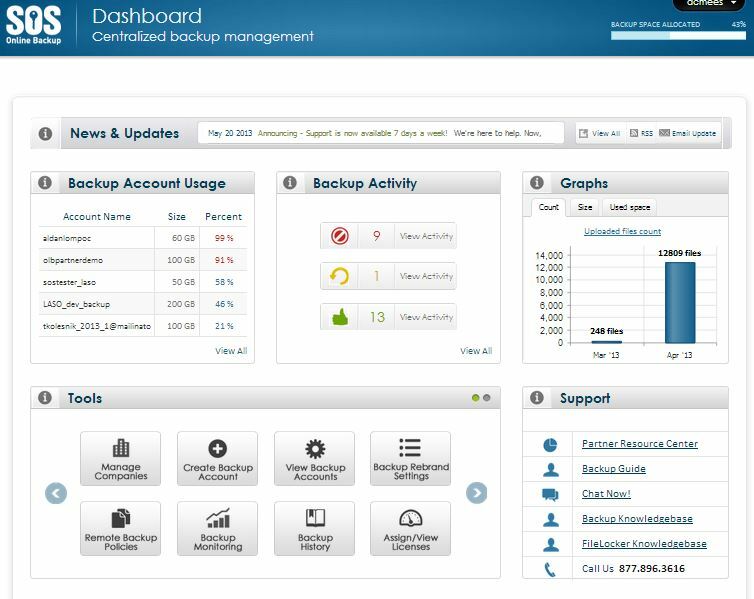 Centralized management for online backup resellers. Take a free tour of the SOS Partner Dashboard right now!